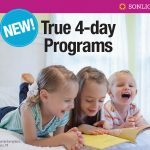 I read this article and wanted to share it with you: Sonlight's New, True 4-Day Programs https://blog.sonlight.com/sonlight-4-day-programs.html. 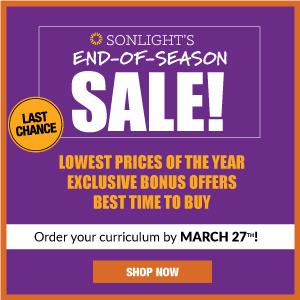 If so, we designed Sonlight’s new 4-day programs with you in mind! You can do Sonlight only four days a week and take the fifth day for anything you choose. Available on March 30, 2017 for Sonlight programs A, B, C, D, E, and F.
In these new IGs, you’ll find all subjects scheduled just four days a week. The standard 5-day program will still be available for all programs. For the curious—and to help clarify, because we’ve made this complex through the years—here is a summary of Sonlight’s 4-day journey. When Sonlight began, and for many years after that, all Sonlight programs were 5-day. 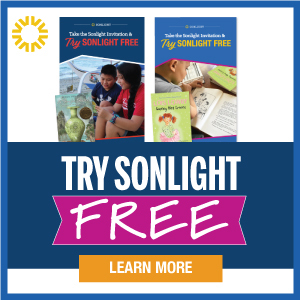 From 2012-2015, Sonlight’s 4-day program became the foundation, with an optional fifth day added on. This was nice, in the sense that everyone got to enjoy the same books at the same rate, and if you wanted to switch to 4-day for a bit, you could. But it was a bummer, really, to have a tacked-on fifth day. In 2016, the Instructor’s Guides were dramatically updated. All programs up to high school were re-done, with updated book choices and tighter reading lists. Because of the reduced reading load, we also created a 4-day program with the same books, read at a slightly faster pace. In 2017, you will get to choose an entirely new product. Starting March 30, 2017, you get to choose what works best for your family: Sonlight every day, or a day off a week. We're looking forward to the 2017 programs, and we'll continue to share all the exciting updates coming March 30. Until our next update, be sure to check out our website and stay connected via our blog or forums. 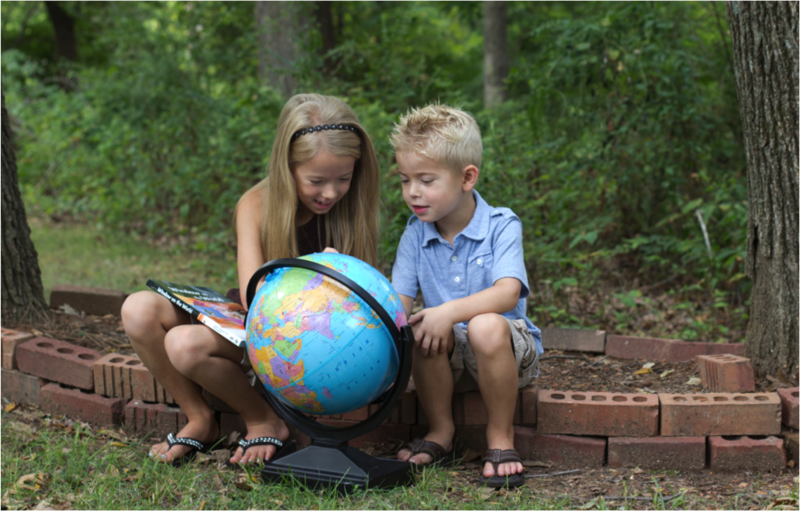 Use SmoothCourse to start shopping for your 4-Day curriculum. I like the 4 day schedule but I don't like that we will miss out on some of the books. We love the reading. So in order to get all the books would we have to purchase the traditional schedule and then just double up one day a week? Hi Shandy - that's the never-ending dilemma! How do I get all the great books, but still have a 4-day schedule. Your suggested remedy is correct. The only way to do that would be to purchase the 5-day program, and double up one day a week. 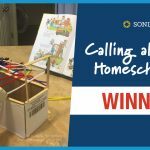 That's how we always did it in our homeschool. I couldn't stand the thought of missing any of the great books! I have a similar question. I want to do a 4 day schedule and have, in fact, moved towards this with my five day schedule, but I don't want to have less books. Could you maybe make a list of the books that are falling by the wayside in the four day schedule, so we have an option of still buying them, please? Hi Ellie - When the 2017 catalog comes out later this month, you will be able to see those books that are "5-Day only" titles. When is the new catalog coming out? What most people have done in the past is they purchase the 4 day schedule and than they purchase the other books that are not included but listed in the 5 day schedule. So, for instance with Core D, if you were to compare the 4 day and the 5 day schedule you could make a list of books that the 4 day does not include and from that list you can decide which ones to sort of tack on to your 4 day schedule order. Hope that makes sense. 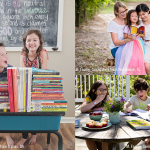 One more thing: When using the extra books, most people will use them as summer reading, or evening read aloud that Dad does, bedtime reading, lunch time reading. 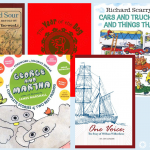 There are numerous places to just squeeze it in if you are a family of readers. Sometimes people will even have their kids read it on their own. I will sometimes use extra books as substitutions. Sometimes we will come on a Sonlight book that we don't enjoy and it's easy enough to toss it and substitute it. What if we want to do d+e will it be available as a 4 day? This update was so needed! It's much easier for people to add in books on their own if they want to than if is to struggle to keep up, or constantly tweak your IG, or just fall behind. We have been in a co-op for two years and it really affected our sonlighting, unfortunately. I felt like I just couldn't keep up with both. 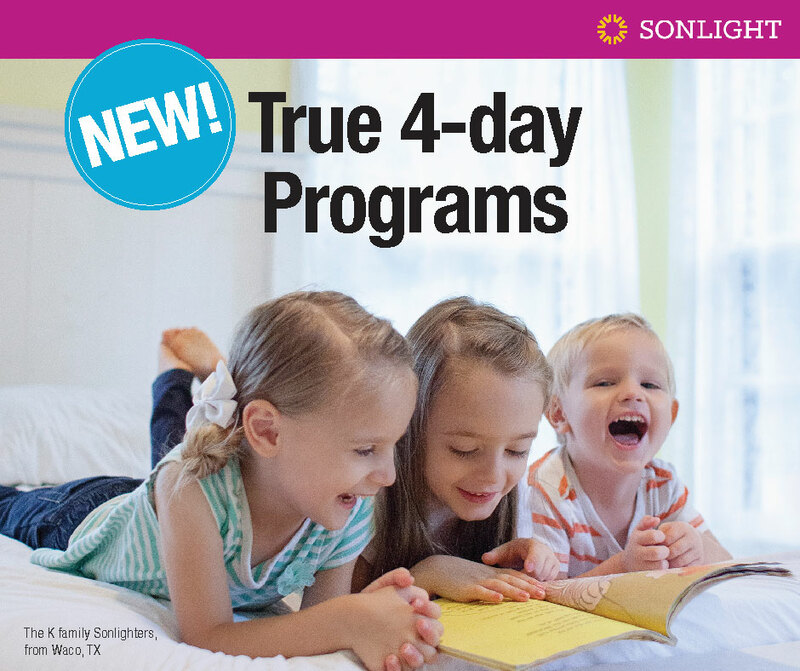 I am so happy that Sonlight is going back to offering a true 4-day schedule, but the fact that Sonlight used to offer a true 4-day schedule is completely left out in the above history. I re-used a 4-day Sonlight core last year. It was World History part 2 from 2007. The IG had a 4-day book list and schedule on one side of all pages and a 5-day book list and schedule on the other side. The 4-day schedule does not have Bible or Readers scheduled for Fridays. You got both 4-day and 5-day in the IG, but you could choose which set of books to purchase. 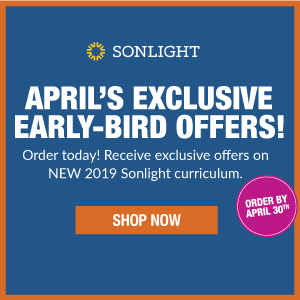 I do not know/remember how long Sonlight offered that option, but I recall using and loving the true 4-day option for several years and then being very disappointed when Sonlight introduced the 4-day option which included Bible and Readers on the 5th day. 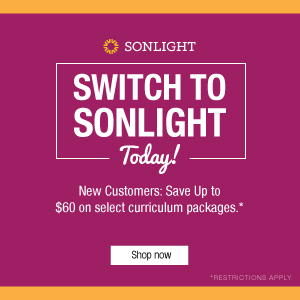 I was even more disappointed to hear that Sonlight had dropped the 4-day option altogether. I am very happy that Sonlight has shifted back to this "new" 4-day option which is truly 4-day. It's a good thing not to overload, taking time to enjoy school days. Is this cheaper than the 5 day schedule? I wish this had been answered as I came here hoping to find an answer to this question as well. I'm assuming you're referring to the pricing issue? The answer to the pricing question is no, the 4-day Instructor's Guide (includes the schedule) is not less expensive than the 5-day Instructor's Guide. They are the same price.